This year the James A. Garfield Schools will have a full-time School Resource Officer (SRO) on campus each day students are in session. The position is being paid for in party by the Village of Garrettsville. The Village will be paying for 32% of the cost of the SRO. The School Resource Officer will be responsible for assisting with safety planning, bus duty, lunch duty, working with groups of students, teaching lessons and mentoring students who may have an interest in law enforcement. Garfield’s SRO will be an officer named Emily Ahrens. Officer Ahrens is a graduate of Tallmadge High School. After high school she attended Youngstown State University and received a bachelor’s degree in the field of criminal justice. Immediately after graduation Emily was hired as a full-time officer for the Brimfield Police Department. 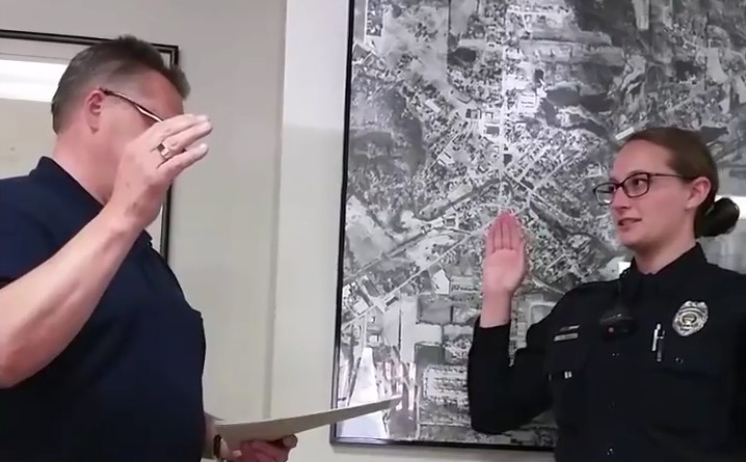 Officer Ahrens was hired as a full-time officer for the Garrettsville Police Department late last spring and completed her School Resource Officer training this past summer. Officer Ahrens will be embedded in our schools AND our community as she has just purchased a home within the district. The District is pleased to enhance the safety of our schools with the presence of such a great School Resource Officer. Best of luck to Officer Ahrens as she begins her career here at Garfield.